Ted Lewis is a retired professor of Computer Science interested in network science, social media, and emerging technologies, and has published over 30 books on topics ranging from personal computing to complexity theory. 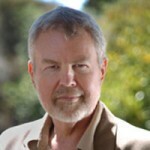 Peter J. Denning (pjd@nps.edu) is Distinguished Professor of Computer Science and Director of the Cebrowski Institute for information innovation at the Naval Postgraduate School in Monterey, California. He is also the Editor-in-Chief of ACM Ubiquity, and is a past president of ACM. The author’s views expressed here are not necessarily those of his employer or the U.S. federal government. Gil Press has worked as a research and marketing executive at NORC, Digital Equipment Corporation, and EMC Corporation. 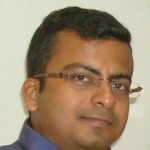 He is Managing Partner of gPress, a social sciences and market research consultancy. Sharad Sinha s a Research Scientist with the School of Computer Science and Engineering at Nanyang Technological University (NTU), Singapore. He is also a corresponding editor with IEEE Potentials and an associate editor with ACM Ubiquity. He obtained his Ph.D. in computer engineering from NTU (Singapore) and thereafter worked at HKUST (Hong Kong) and NUS (Singapore). He is fascinated with the developments in a wide range of topics related to computing but sees all this from a non-research perspective as well. His primary research and teaching interests are in the areas of embedded systems, computer architecture, reconfigurable computing and high performance computing as well as their intersection with other application areas like medical devices and machine vision. 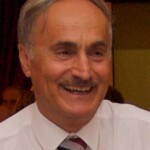 Kemal A. Delic is a senior technologist with Hewlett-Packard Co. He is also an Adjunct Professor at PMF University in Grenoble, Advisor to the European Commission FET 2007-2013 Programme and Expert Evaluator for Horizon 2020. Albert Borgmann (German-born American philosopher) a Regent Professor has been teaching philosophy for last four decades at The University of Montana. His latest publication is Real American Ethics: Taking Responsibility for Our Country (Chicago, 2006). His main interests include philosophy of technology, ethics and philosophy of society. Dr. Kevin Fu, Ph.D., is Associate Professor of Electrical Engineering and Computer Science at the University of Michigan and CEO and co-founder of healthcare cybersecurity startup Virta Laboratories, Inc. His research investigates how to achieve trustworthy computing on embedded devices with application to health care, commerce, and communication. He teaches computer science courses in security and privacy. Virta Labs provides hospitals a managed cybersecurity service called BlueFlow to assure continuity of clinical operations despite medical device security risks. Fu received his Ph.D. in EECS from MIT where his research pertained to secure storage and how web authentication fails. His participation in the provocative 2008 IEEE research paper analyzing the security of a pacemaker/defibrillator led to a wake-up call for cybersecurity in medical device manufacturing. Fu has given nearly 100 invited talks on medical device security to industry, government, and academia—including U.S. Senate and House hearings, the Institute of Medicine, and National Academy of Engineering events. He directs the Archimedes Center for Medical Device Security at the University of Michigan. He co-chaired the AAMI Working Group on Medical Device Security, which led to the AAMI TIR57 document that advises medical device manufacturers on how to incorporate security engineering into medical device product development. Fu co-authored the U.S. National Institute of Standards and Technology (NIST) Information Security and Privacy Advisory Board recommendations to U.S. HHS on how the federal government must adapt to risks of medical device security. His medical device security efforts were recognized with a Fed100 Award, Sloan Research Fellowship, NSF CAREER Award, MIT TR35 Innovator of the Year award, and best paper awards on medical device security by organizations such as IEEE and ACM. Fu served as a visiting scientist on cybersecurity research at the U.S. Food & Drug Administration, the Beth Israel Deaconess Medical Center of Harvard Medical School, Microsoft Research, and MIT CSAIL. He was a member the NIST Information Security and Privacy Advisory Board. ISPAB is a Federal Advisory Committee that identifies emerging managerial, technical, administrative, and physical safeguard issues relative to information security and privacy in Federal Government information systems. Upon retirement in 2010 Paolo Rocchi has been recognized as an Emeritus Docent at IBM for his scientific achievements; he is also an Adjunct Professor at Luiss University of Rome. 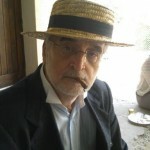 Rocchi is currently involved in a variety of theoretical and applied fields of research including the methodologies of software engineering, the properties information, the Boltzmann-like entropy, the forecast of cancer tissues growth, the interpretation of probability and the teaching methods of informatics. Further details may be found at: http://www.edscuola.it/archivio/software/bit/eauthor.html. Henry Petroski is the Aleksandar S. Vesic Professor of Civil Engineering and a professor of history at Duke. His most recent book is "The Road Taken: The History and Future of America’s Infrastructure."